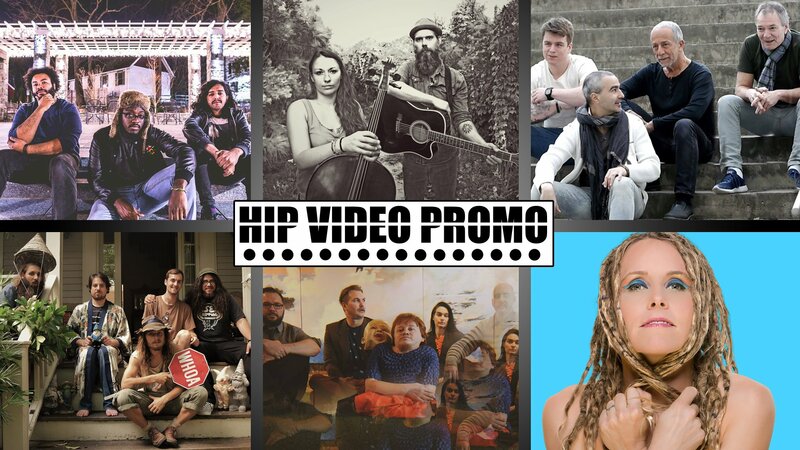 Here at HIP, we’re passionate about spreading the word of the most dedicated independent artists, and this week, we’ve got clips from some stellar free-thinkers, inventive creators, and honest storytellers to show you. The newest HIP Picks – Weekly Client Roundup video gives you the low-down on some of our current projects, and we’ll tell you a little bit about each one below. What does freedom mean to you? For indie/alternative band StereoRiots, it’s a coming-of-age tale that begins in Washington, D.C. After their 2014 debut EP Intervals (produced by Forever The Sickest Kids’ Austin Bello), StereoRiots have another release on the way: the Monsters On The Moon EP. “Ghost Machines”, the new EP’s lead single, is an ambitious seven minute journey, throwing the listener into the ring with their own mortal enemy: themselves. The video for “Ghost Machines” shows people from all walks of life who are stuck in a rut, yet share a common light inside their souls. Adrian Conner doesn’t just do “it” herself: on her upcoming EP SpazKitty, she does it all – performing, editing, writing, producing, and engineering- herself. We’ve had the pleasure of working with this passionate independent artist with her outfit Adrian & the Sickness and her duo Beaux Cheveux, who recently shared a trio of videos: “Deeper Feeling”, “Free Love”, and “Rio Grande.” Conner is bringing her A-game for SpazKitty, and “Airport Coffee” sees her fighting a battle for the common man and woman against corporate greed. Visually speaking, “Airport Coffee” is a kaleidoscope of colors, sure to make the viewer think hard about the sobering reality of the financial world we’re living in. Every transcendent psychedelic rock song deserves an equally sublime, deliciously weird video, and with their clip for “The Problem With Link Think”, BUNNIES have done just that. Now, the Northampton, Mass. Experimental band is back with two more clips. The first, “The Trouble With Unchain Brain”, is a short one (just over a minute and a half long), and shows scrapbook, collage-style imagery (a skull, a mannequin, a person’s insides) combined with trippy, cosmic visuals. The second, “The Deep State of Strawberry Tart”, is a seven-and-a-half minute epic tale that takes the viewer on a journey through understanding everything, with seven examples of universes and an appearance by the mysterious S. Tart. As we grow up, society tells us we must have direction, but what if there’s joy to be found in being loss? American folk duo Jeremy Dunham and Kerrine Gifford – known to the world as Sweet Sweet – have found bliss in a life of mystery with their feel-good new single “Roam.” Following up their clip for “In The Stars”, “Roam” is a methodical, sun-kissed smash full of vintage vibes (the band rolls around in a classic VW bus, all the while the footage looks right off an old film reel). While Sweet Sweet may not know just where they’re going, they’re happy to be where they are, and ready to embrace the adventure of figuring things out. Popular music may be dominate by synths, samples, and autotune, but Portsmouth, New Hampshire freak-folk group People Like You are bringing their eclectic blend of raw roots, punk, psychedelia, and vaudeville to the masses. Eli Elkus and Andrew Polakow combine their singing and songwriting talents with the musical prowess of Justin Sheriff, Rob Littlefield, and Max Elkus for a rabble-rousing, awe-inspiring live performance that brings the fans in to the band’s family. Their new single “Why Say Why?” is a “live free” anthem that blends all of the little intricacies that make up the band’s sound; the accompanying music video drives home the message in signature People Like You fashion. It’s taken a lifetime of hard work and dedication for this group of four friends from Oslo, Norway to get there, but Silver Spoon have reached the apex of their musicality, perfectly combining classical guitars and a Mediterranean flair into the fold of modern rock and roll. “In The Heat Of The Night” is the group’s red hot new single, and it’s combined with an equally enthralling video. The video shows a woman defying her negative thoughts, marching forward to keep her flame alive with the band as her soundtrack.